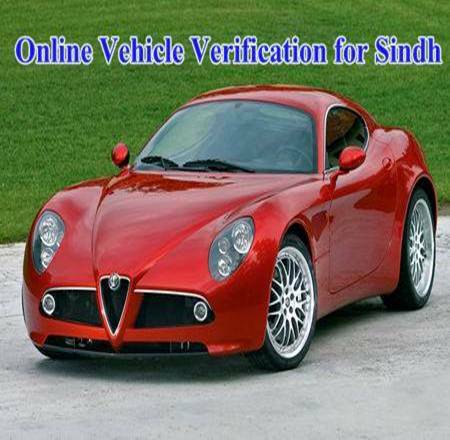 Government of Sindh (Pakistan) has launched an online system for verification of Sindh registered vehicle numbers e.g. cars, vans, motorcycles etc. This verification portal is created by Excise and Taxation Department of Sindh Government. This is a great achievement towards e-Government system. To use this facility visit following link to go to Vehicle Verification Portal. You can verify ownership of any car or other vehicle number of Sindh. Just enter the number of a vehicle in the search box given in the portal , Select one option by clicking the radio button "4 Wheelers Verification" or "2 Wheelers Verification", write Captcha Code and press Enter and you will get all the important information of that vehicle. There are no charges for this service, you can use it free at your convenience in your home or office. Number can be found on number plates of all vehicles. Click here, if you want to know details about verification of vehicles registered in Islamabad and Punjab. hello, I see the horse power field is blank in the results..
Would the engine be swaped or any thing else?